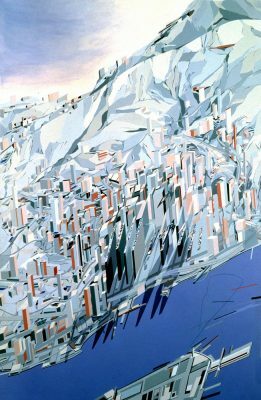 In celebration of Zaha Hadid ’s career in architecture and design that spans four decades, Fondazione Berengo will host an abridged retrospective exhibition of her work at the 16th century Palazzo Franchetti on the Grand Canal, Venice, Italy. 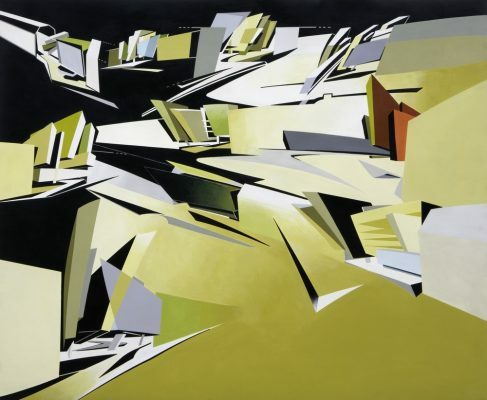 The exhibition, coinciding with this year’s Venice Architectural Biennale , showcases many of the seminal paintings, drawings and models of Hadid’s repertoire, conveying the ingenuity and dynamism of her architectural projects in a variety of media including photography and film. 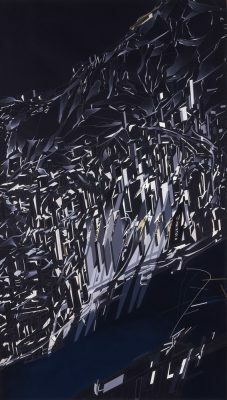 Hadid described her process, “My paintings really evolved thirty years ago because I thought the architectural drawings required a much greater degree of distortion and fragmentation to assist our research – but eventually it affected the work of course. In the early days of our office the method we used to construct a drawing or painting or model led to new, exciting discoveries. We sometimes did not know what the research would lead to – but we knew there would be something, and that all the experiments had to lead to perfecting the project. It might take ten years for a 2D sketch to evolve into a workable space, and then into a realised building. And these are the journeys that I think are very exciting, as they are not predictable. For example, I used to produce hatched lines on my drawings. 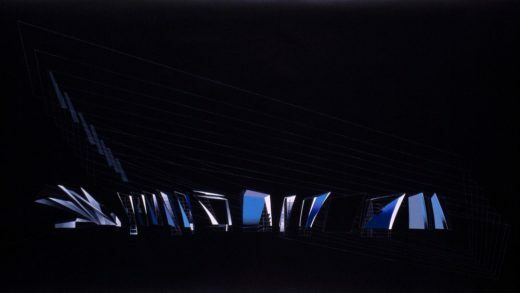 These became striated models, which eventually became the diagram for MAXXI Museum. So a simple idea like that would take quite a long journey. “Doing the drawings was a slow process, as they required tremendous concentration and precision. The whole system of drawing led to ideas, putting one sheet over another and tracing and reworking, like a form of reverse archaeology in a way, leading to a layering process where distortion in the drawing could lead to distortion in the building. Or extruded drawings could lead to extruded sections in buildings. 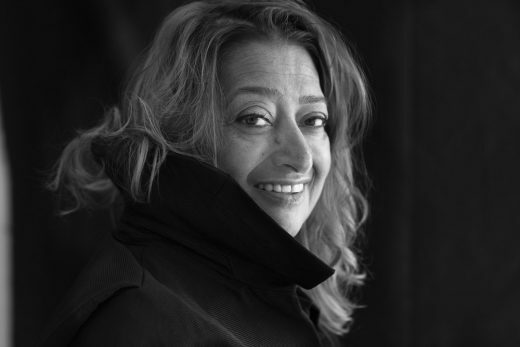 The processes led to literal translations in the building,” continued Hadid. Helene Binet’s photographs, capturing the integrity and materiality of Hadid’s projects, will also be showcased in their own room. Binet began her relationship with the practice photographing the Vitra Fire Station in 1992 and has continued to the present day with powerful images of many of the firm’s works including the Salerno Maritime Terminal in Italy which was inaugurated in April 2016. 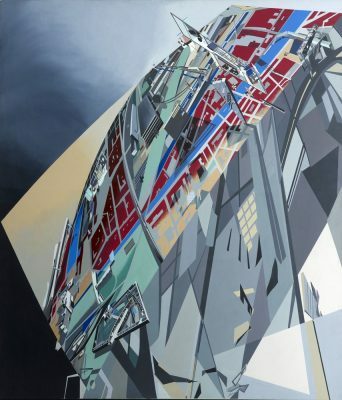 All of Zaha Hadid Architects works in progress will be exhibited, including projects to be completed in the coming year. The Port House in Antwerp will be inaugurated on 22 September. Its design preserves and repurposes an abandoned 95-year-old fire station into a new headquarters for the port. The King Abdullah Petroleum Studies and Research Centre (KAPSARC) in Riyadh is a non-profit institution that brings together people from around the world to research and tackle energy challenges for the benefit of society and the environment. Due for completion in October, KAPSARC is built with sustainable construction methods and materials to LEED Platinum certification, and designed to work with its natural environment to ensure comfort for employees alongside minimising energy and resource consumption. The Mathematics Gallery at London’s Science Museum will open in December. A pioneering new gallery that explores how mathematicians, their tools and ideas have helped to shape the modern world, its design and layout is defined by mathematical equations that are used to create the 3D curved surfaces representing the airflow patterns that would have streamed around the historic 1929 aircraft at the centre of the exhibition. Also included in the exhibition are models, relief studies and visualisations of a residential building on the High Line in New York that will complete in early 2017. Through detailed exploration of two projects currently under construction, the exhibition outlines the innovations and applications developed by the practice’s in-house computation and design research team (CODE). CODE’s research and development harnesses the latent opportunities within the inter-disciplinary collaboration of computationally literate architects, engineers and emerging digital manufacturing methods; establishing a collective research culture throughout Zaha Hadid Architects that enables many diverse talents and innovative ideas to feed into each other. CODE’s research applications determined the airflow patterns that define the shapes and spaces of the Mathematics Gallery at the Science Museum, which were a result of a fluid exchange of means, methods and models across disciplines and the lineage of innovative, tensile fabric structures that the office has undertaken in the past. 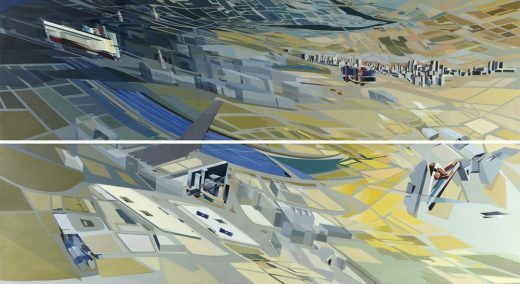 These galleries outline the development and continued advancements of this research and their application throughout Zaha Hadid Architects’ body of work. 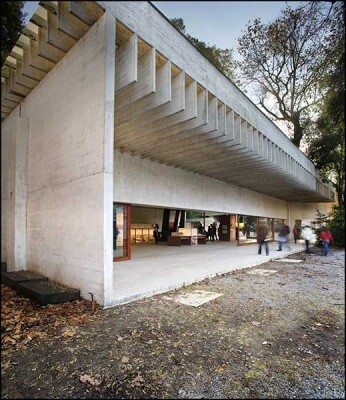 “The developments that computing has brought to architecture are incredible, enabling an intensification of relationships and greater precision – both internally within the buildings as well as externally with their context. It took me twenty years to convince people to do everything in 3D, with an army of people trying to draw the most difficult perspectives, and now everyone works in 3D on the computer – but they think a plan is a horizontal section, but it’s not. 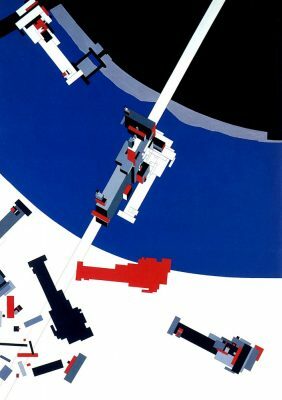 The plan really needs organization via a diagram,” Zaha Hadid has explained.